Audi service and repairs can be expensive, especially when done by a dealer. That’s why euroserve is dedicated to offering a great dealer alternative. As an independent specialist, we are able to provide customers with economical alternatives to expensive repairs and Audi service in Sydney and the surrounding area. When you bring your Audi to euroserve for repairs or service, you can be sure that you are making the best possible decision. We are fully licensed and our technicians are factory trained. We use factory level diagnostic equipment along with our 25 years’ experience specialising in Audis and other European cars – so we will diagnose your car’s problem correctly. These vehicles are complex and there is nothing more frustrating than getting a “repaired” car back, only to find that the real problem was not diagnosed. That’s why we specialise in European cars – we think your Audi service in North Sydney, Chatswood, or Macquarie Park should be a simple matter for you, and something that gets done right the first time. Providing Audi service requires a thorough understanding of the complex diagnostic operating system and electronic controls. Upgrades are sometimes needed to keep these systems current. In addition, when replacing electronic components, coding and adaptations are required. On the newest models, even battery replacement requires coding. This is no problem for euroserve – we have been offering factory level software programming and coding since 2008. Whether you live in Macquarie Park, Chatswood, Sydney, or North Sydney, we offer everything you need for complete Audi service. We carry a complete range of genuine Audi parts, and we can import from Europe and the USA. That means we are able to save on original equipment, and pass those savings on to you. We will never use inferior parts, which can cause dangerous complications. We use only original or genuine quality Audi parts. In addition, our customers experience fewer problems with their vehicles because we recommend shorter service intervals than the manufacturers do. Recently, they have been recommending extending the service intervals out to as long as two years and more than 20,000km. 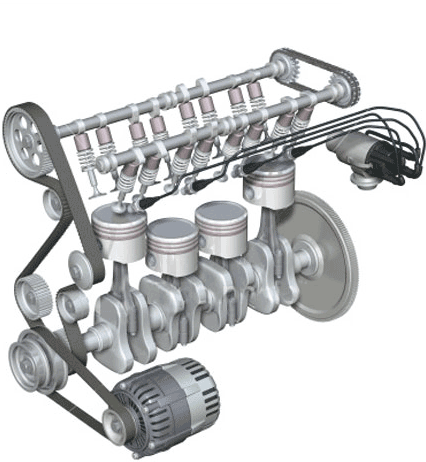 Vehicle owners have, as a result, experienced many more problems with their engines. VW themselves have now altered their recommendation to having Audi service at intervals of no more than 15,000 – the interval that euroserve has been offering their customers for years. Those that follow the reduced service interval plan do not experience the same severe failures experienced by those who don’t. When you are looking for a place for Audi service in Chatswood, Macquarie Park, North Sydney, or anywhere in the Sydney area, you can rest assured that any service done at euroserve will not affect your vehicle warranty, because we use only approved parts. In fact, we can help you get the most out of your warranty by informing you of repairs you need which dealers may not inform you of if your warranty is near its end. Call euroserve today to find out more about Audi service in Macquarie Park or wherever you are in the Sydney area.